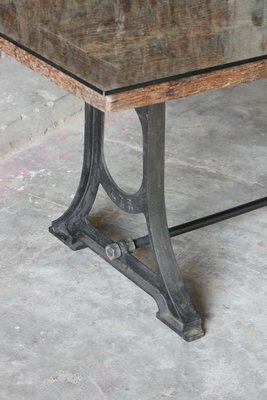 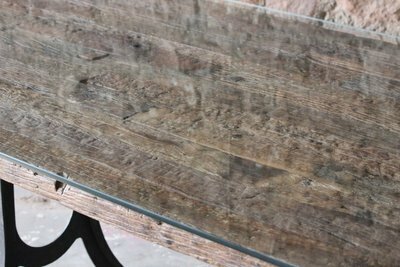 This Dining Table uses the best reclaimed materials. 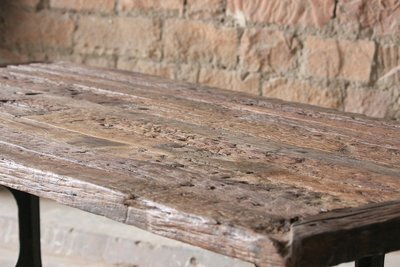 The table top is made from upcycled railway track sleeper wood and the base is made from recycled iron and steel that has been melted down and remoulded by our talented team in India. 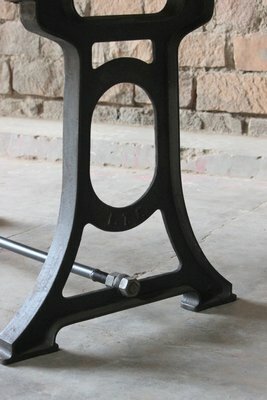 The combination of the two offers a complimentary mix from different sources. 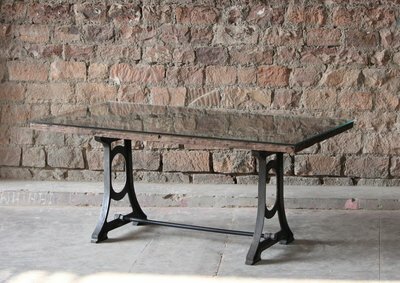 This striking and unique piece of furniture has a glass top made from toughened glass with a rounded edge at the corners adding it a contemporary modern appeal. 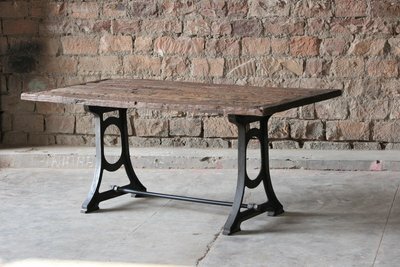 By using traditional methods by our skilled craftsmen, no two dining table will look exactly the same.